Big fresh snow day in Chamonix today - lots of powder! 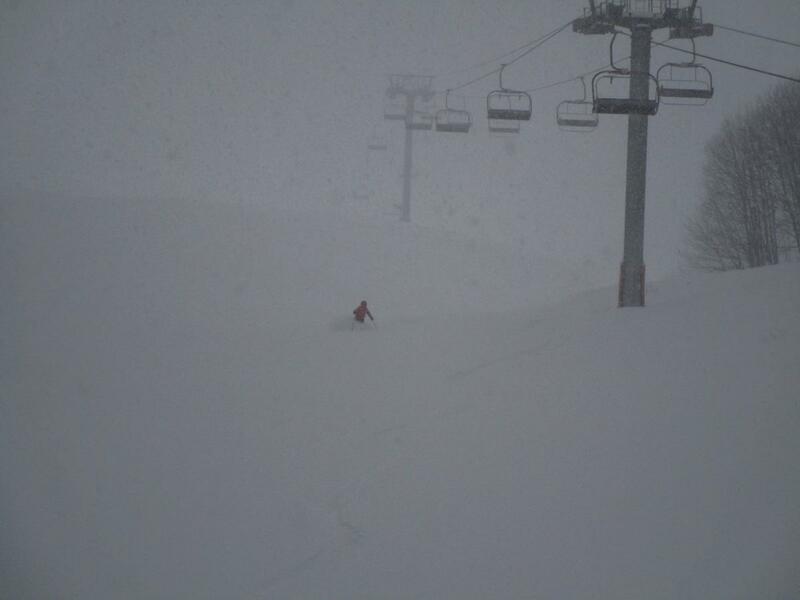 In 24 hours since Sunday morning, it must have snowed 50-60cm above 2000m, and 20cm in Chamonix town. The quality was absolutely incredible this morning at Flegere, and we got lucky with good visibility and some rare bigger lift openings! There weren't many people around this morning at Flegere, and the sunshine made a celebrity appearance, especially in the mid-mountain treeline area (especially welcome as it was supposed to be mostly cloudy today). The fresh snow was deep, supportive and fluffy, and it was like floating through a thick layer of fluffy whipped cream! 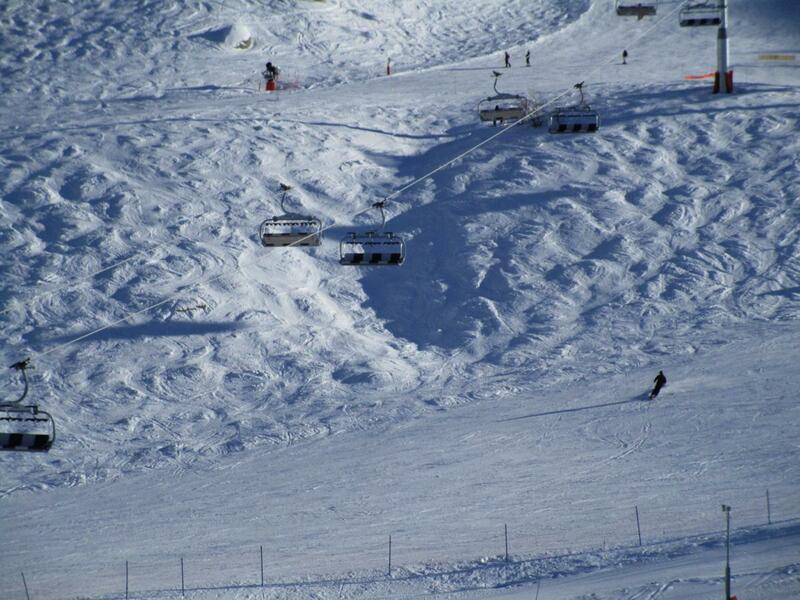 Pistes were soft and forgiving, and the link to the Brevent opened up a bit later on, with more pistes open. Finally the Index opened some limited terrain, at around 11am, one of the fewer bigger lifts of the Chamonix valley open for skiing today. The ski patrol had been able to bomb avalanches thanks to it being sunnier than forecast. When we got up there, the light wasn't great, as the high ridge was cloudy, but the snow was incredible. All around the Chamonix valley would have been great today, too. Les Houches was mostly open, and the Bochard and Herse were open at the Grands Montets, with a bit better visibility than at Flegere. As far as the weather forecast goes, it is supposed to stay unstable for the next few days, which means even more fresh snow, with maybe a short clear spell tomorrow morning.